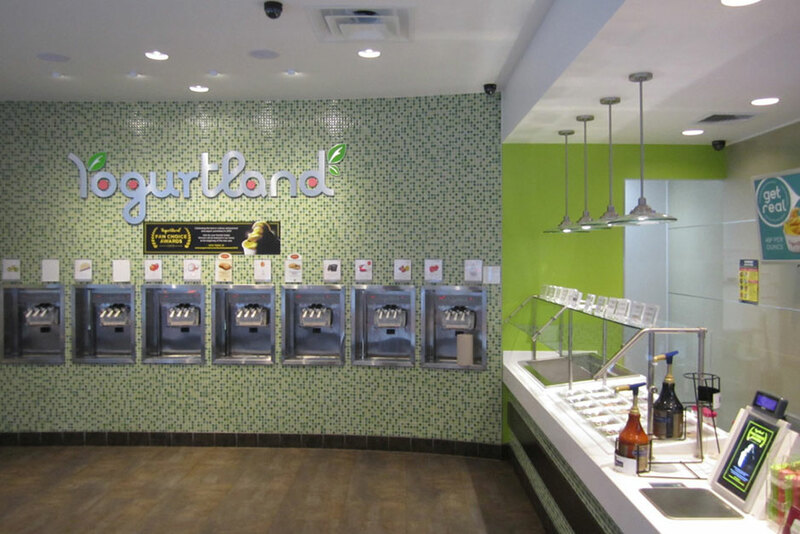 Yogurtland, a popular chain of frozen yogurt shops that has a global presence, uses Porcelanosa products throughout many of its franchised locations. 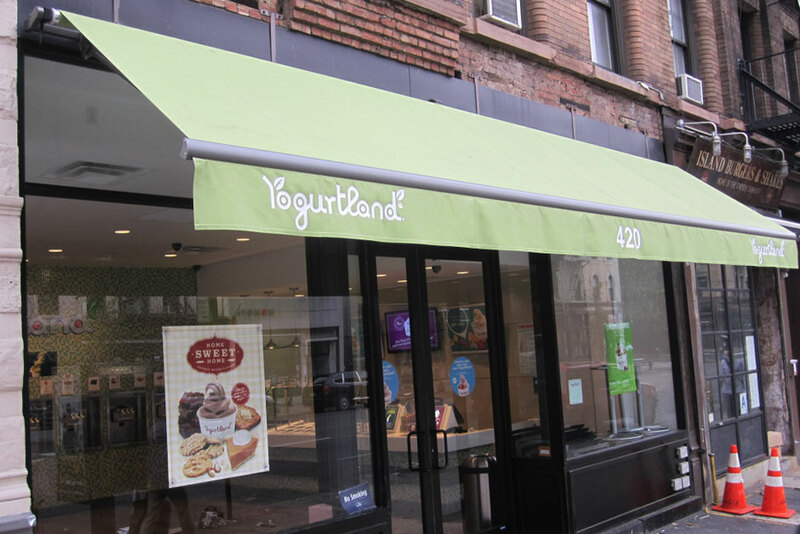 This particular location is located in the Upper West Side of New York City. 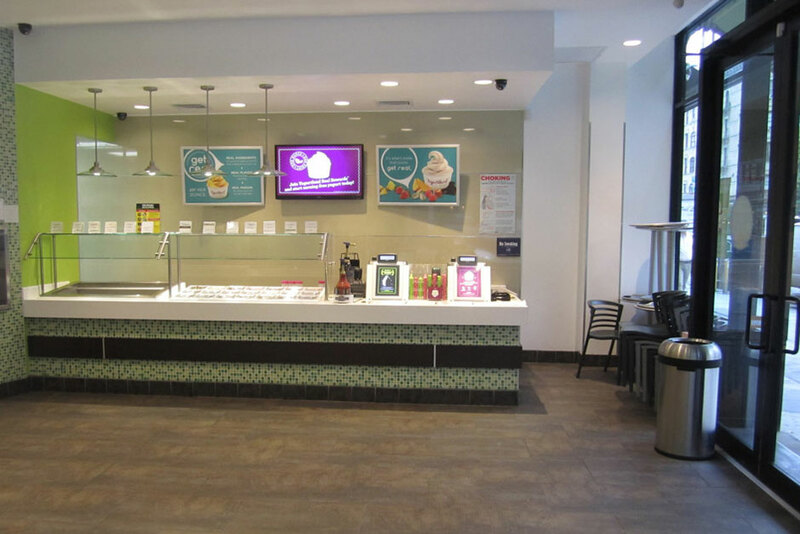 The brand uses Venis’ Line Sage tile, which compliments the green used in their branding, is located on the wall behind the toppings counter. 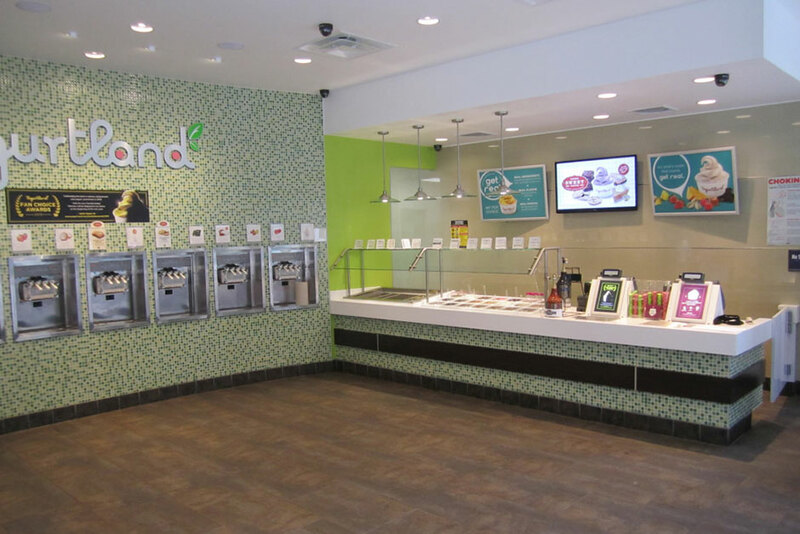 Yogurtland also uses the Ferroker antislip ceramic floor tile throughout the store, which is an excellent choice for use in high-traffic areas.